The Al-Quds Foundation (SA) today inaugurated its new National Director for operations Sh Ebrahim Gabriels. Shaykh Gabriels is the former President of the Muslim Judicial Council (SA) MJC, and United Ulama Council of South Africa, UUCSA, and is well known for his efforts for the liberation of Palestine. Shaykh Gabriels follows in the footsteps of former MJC President and Palestinian activist, the late Moulana Ihsaan Hendricks who less than a year ago passed on after a long struggle with illness. 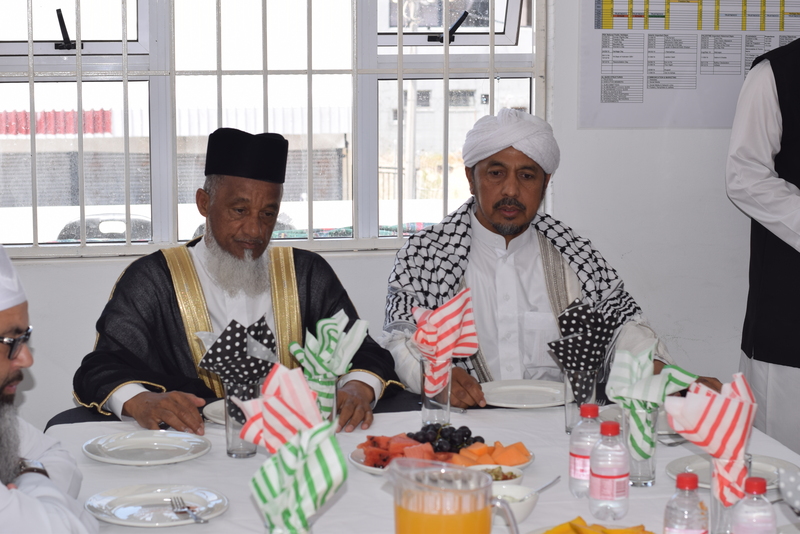 ” Moulana Ihsaan Hendricks dedicated his life to Palestine and has left a beautiful legacy behind…it’s a sign of good leadership when in your absence the work still continues” said MJC President Shaykh Irafaan Abrahams as he reflected on the life of the late Moulana Ihsaan Hendricks. Fellow Palestinian activists, Dr Anwar Nagia from the Kaaf Foundation and Br Arshad Samodien from Youth for Al-Quds were amongst those who paid tribute to Moulana Ihsaan Hendricks and pledged their support to the Al-Quds Foundation and to its new director. The MJC welcomes the appointment of Shaykh Gabriels and pledges its support to the Al-Quds Foundation and its new director.